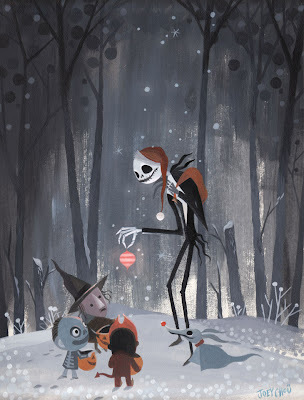 joey art: The Nightmare Before Christmas tribute show in Paris! The Nightmare Before Christmas tribute show in Paris! 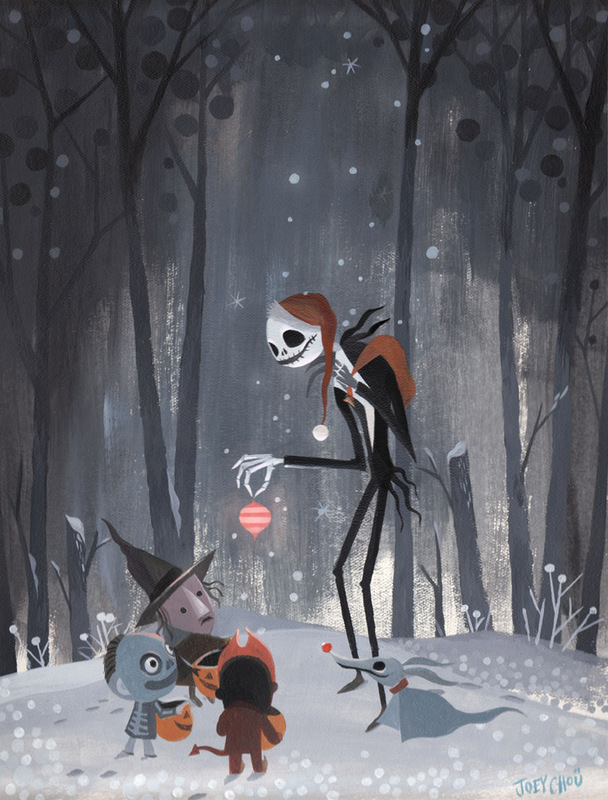 Here's the piece I did for the Nightmare Before Christmas tribute show at Arludik gallery in Paris. Feb 22nd, 2012- Mar 10th, 2012. Its really exciting to be part of this show, how I wish I can go to Paris for this. here's the facebook page for the event. lots of super talented artist, thanks to Seb Mesnard for making this show possible! So good. Is this Gouache? I love it!!! Totally capture his spirit and remained Joey at the same time. Someone tweeted about your artwork, they had just discovered your work as well. I am LOVING everything I see on your site. Just want to give you a shout out. That's all. Amazing. Wonderful homage to Burton. You've stayed true to yourself and still managed to convey the substance of his work. All of your work is amazing! Nice to find you. What a great piece! And it looks like a fantastic show to be a part of. You should just sneak away to Paris for the opening and come back the next day. this is a great painting, Joey! How I wish you could go to Paris too! Beautiful piece, Joey!